Trade ministers from the Brazil, Russia, India, China and South Africa are discussing trade facilitation, economic and technological cooperation, and the multilateral trade system at a two-day annual meeting that began on Tuesday in Shanghai. The BRICS ministers are looking at boosting cooperation of the bloc within the WTO and preparation for the 11th Ministerial Conference in December. On Tuesday, Chinese Minister of Commerce Zhong Shan warned against trade favouritism. The zeal of protectionism pushed forth by Donald Trump’s electoral win has been a much-discussed topic at global economic summits including the G20 earlier this year. There is growing fear that the Trump administration will undo much of the cooperation frameworks on trade and sustainable energy in place between G20 nations. Tensions are rising over Trump’s plan to use a Cold War-era law to restrict steel imports for national security reasons. Trump launched an investigation into the matter in April, in a move that diplomats and trade experts say risks undermining the global rules-based trading system and sparking retaliatory action around the world in products beyond steel. 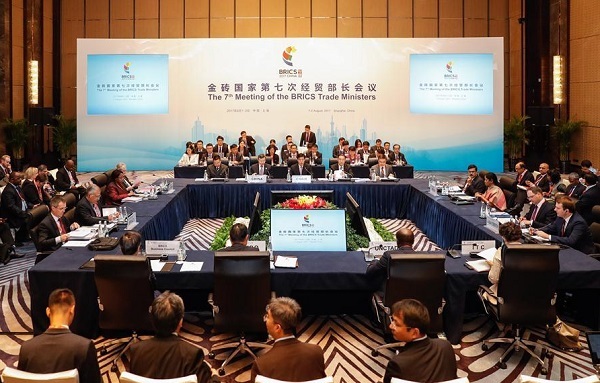 Meanwhile, in Shanghai, the BRICS trade ministers meeting is focused on the issues of the electronic commerce, investments simplification and trade in services, according to the Chinese Commerce Minister.